Over the years, I have gotten many requests for pro bono work, and if it’s for family or friends, I take on the job. However if someone I do not know is asking me to design a logo or a website in exchange for ‘exposure’, well, that’s been a hard no since I became established. Rare Form has been in business for over 21 years... and exposure unfortunately does not pay the bills. I ran across the Exposure Calculator today and I giggled and immediately felt the affinity toward this beautiful little piece of the internet. If you are in any kind of creative industry, odds are that you have been asked to work for exposure in lieu of actual money. 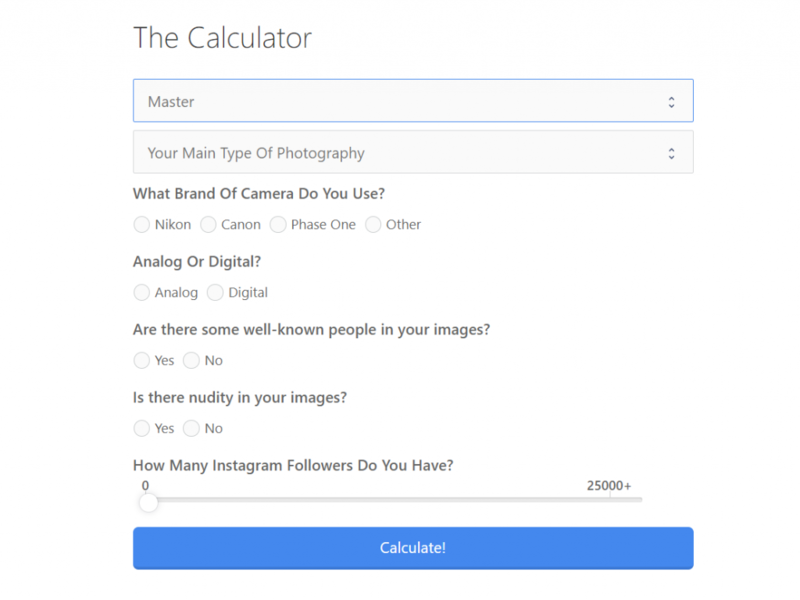 This calculator was created for photographers, but any kind of creative can see why this is not only entertaining, but also brings to light the problem that we as creatives face with 'working for exposure'. 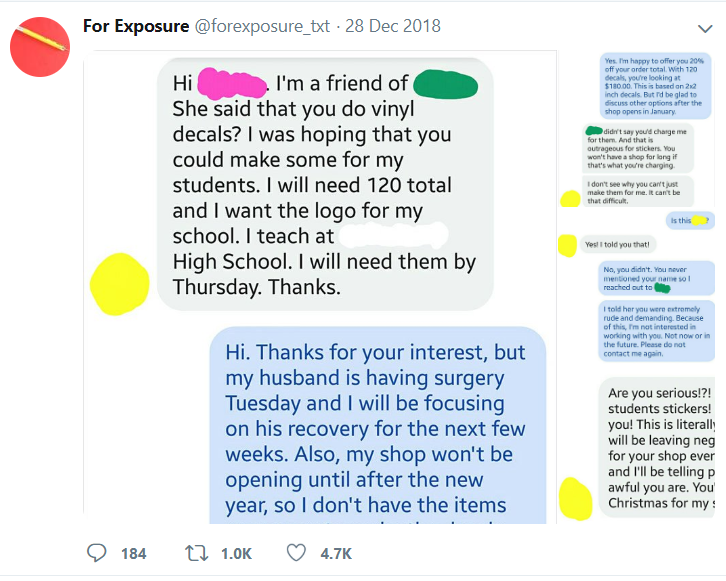 "Find out exactly how much “exposure” you should receive for your hard work, based on important metrics and complicated scientific algorithms." The calculator, while stated on the website is an obvious parody, hits home with how creatives are treated with respect to recieving actual payment. 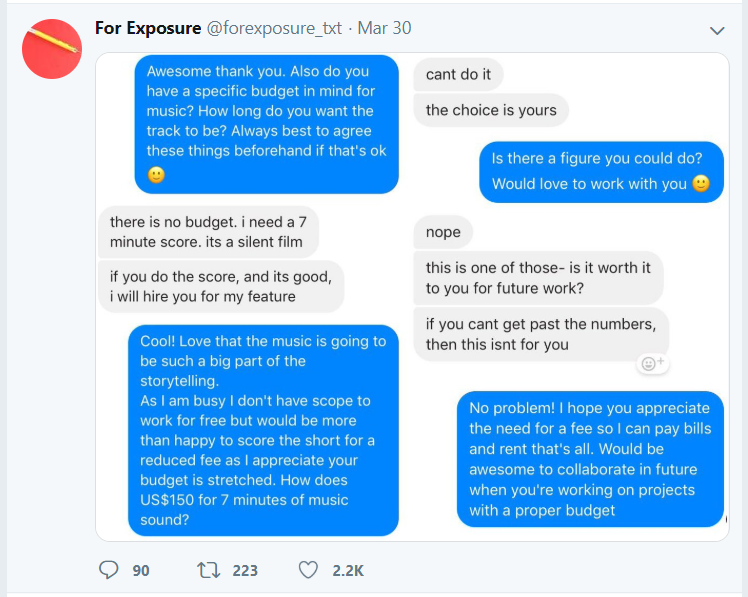 This is such a common occurrence that a designer from South Korea, Ryan Estrada, created the Twitter account @forexposure_txt and it has resonated with creatives all over the world. All of this being said, I created my business pre-social. Since the takeover of social media in our everyday lives, working for ‘exposure’ has become a different animal. 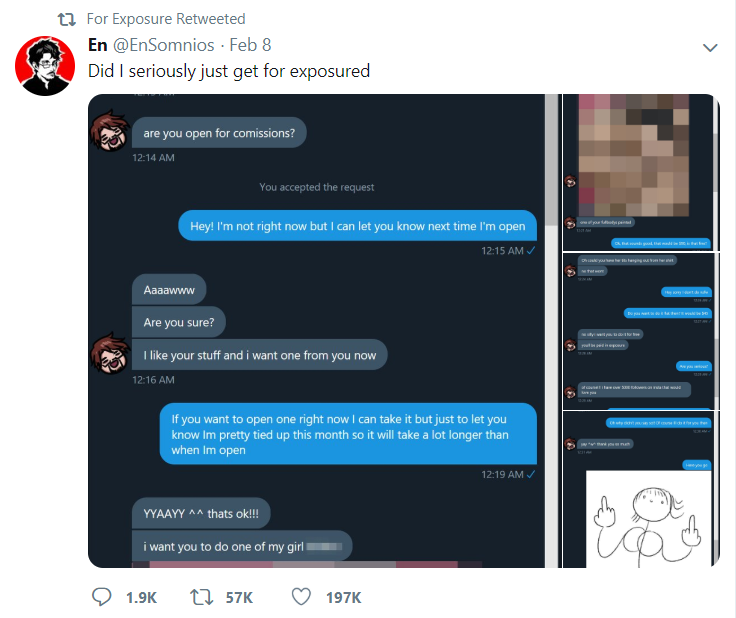 If you are a creative, established or not, and an Instagram model or brand with millions of followers asks you to do something for exposure, it just might be worth the time. It will just come down to the cost/benefit/time equation for the situation.